My fingers got itchy yesterday, and I knew I’d need to be crafting something. I spent the morning cutting out a few pieces for my magazine rack (see top picture here). The glue is drying on them currently. Later, as I was cleaning out a folder of forgotten downloads, I searched around for small projects. I came up Hooray for Headbands by Heather Bailey. Who knows how long I’ve held onto the file without using it. 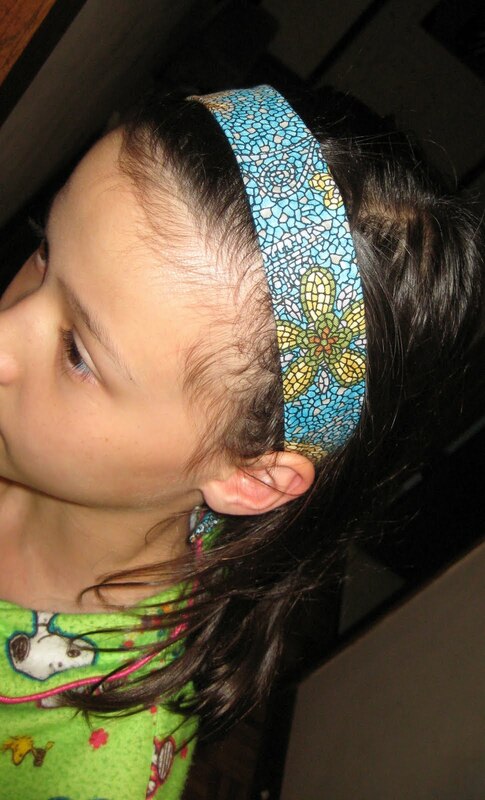 “I” of GAIN chose fabric for a tester, and the headband turned out great. She chose a fabric that I was considering for myself. (You may remember seeing it in my yo-yo necklace.) The pattern calls for 1/2″ elastic, but I used 3/8″ elastic because that is what I had at 8:30 p.m. It was extremely quick to make and I don’t think you could make a mistake while constructing it. It uses only 1/8 yd. of fabric. Here is the back. You can see the black elastic peeking out above left of the knot. 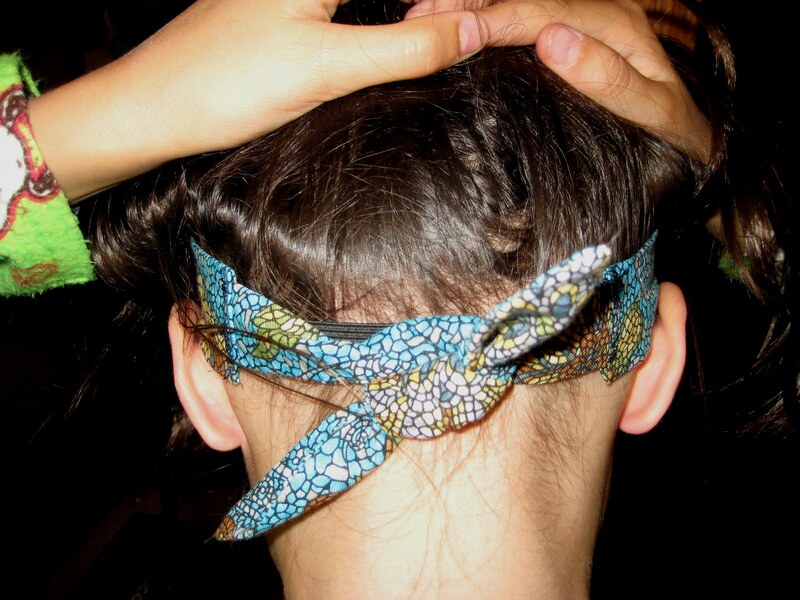 The elastic is key to the ease of this headband’s look. And “I” of GAIN and I appreciate it. I considered not making a knot in order to have tails, because the 5th grade girls that I taught last year all wore headbands with long tails. But maybe that is so 2009. “I” doesn’t care anyway. Her hair covers them. However, longer tails would be very easy to accommodate. This entry was posted in crafting and tagged headband, scrapbuster. Bookmark the permalink.